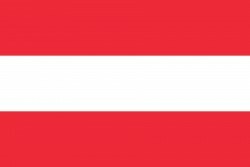 The new Austrian government has agreed on a bank tax hike. The Austrian banking sector has to perform extraordinary taxes since 2010. Due to the partial nationalization of VBAG in spring 2013, the bank tax was raised from EUR 500m to EUR 625m. In 2014, the bank tax is expected to reach about € 700m. Chairman of RZB (Raiffeisen Zentralbank) Walter Rothensteiner pointed that the Austrian banking sector has to bear higher costs than foreign competitors. Due to legal requirements and capital requirements, the Austrian banking industry is already on the breaking point, CEO of RBI (Raiffeisen Bank International) Karl Sevelda said. The Austrian Raiffeisen sector will have to pay the biggest part of the bank levy. This year, the contribution of the Raiffeisen sector is expected to reach about € 120m. In the next weeks, the Austrian government will develop a new calculation model for the bank tax. A few details are already known.